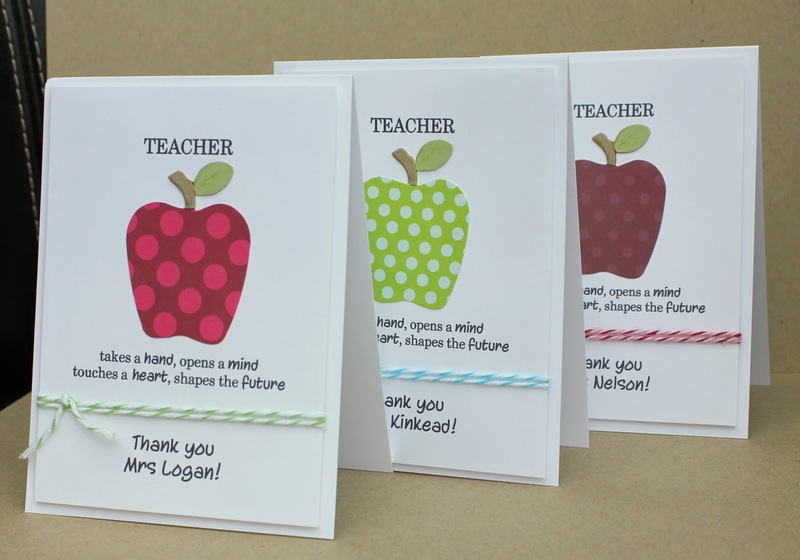 As it will soon be end of term here, it's time to start thinking about teacher cards and gifts. These are some cards I made for the children's teachers but didn't get uploading them. 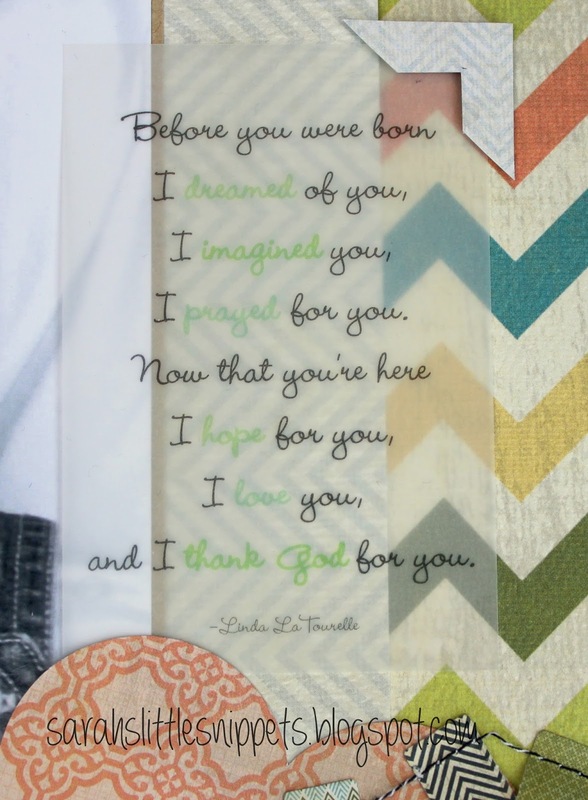 I made matching gifts too which I'll share tomorrow. That was a longer break than I intended! I hope you'll bear with me and I'll post a project or two later tonight. 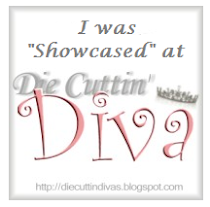 I'm still here but just haven't been able to blog. I had carpal tunnel surgery late yesterday afternoon and although it's a 'bit' painful today, I hope in a few weeks I'll be fully recovered. Then I just have to get the same done on my right hand and I'll be back creating properly again. 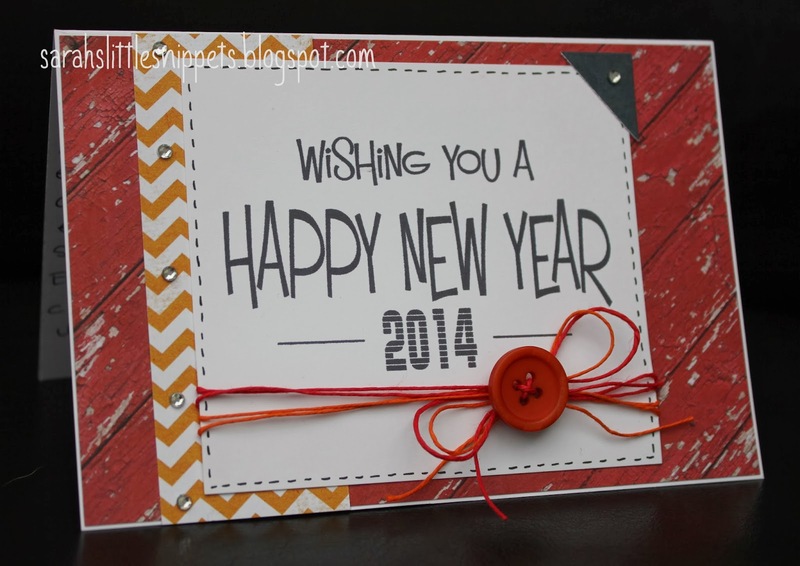 Here are some New Year cards I made using a free digi stamp downloaded from DigiStampBoutique. 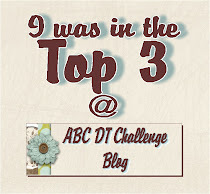 I thought it was about time I updated my poor neglected blog! and then the school holidays so crafting was put on hold AGAIN! I have missed visiting you all so much and have a lot to catch up on. made in March for Creative Craft World. This one is of Caleb when he was a few months old. I found this vellum quote in a book by K & Co that I've had for ages and I love it! The little banner came with the kit and I cut the paper hearts with my Silhouette. The little wooden heart is by Studio Calico. I love these MME buttons and I used a matching brad to hold back the folded corner of paper. I'll be back soon with more projects. and I'm looking forward to visiting your blogs too. 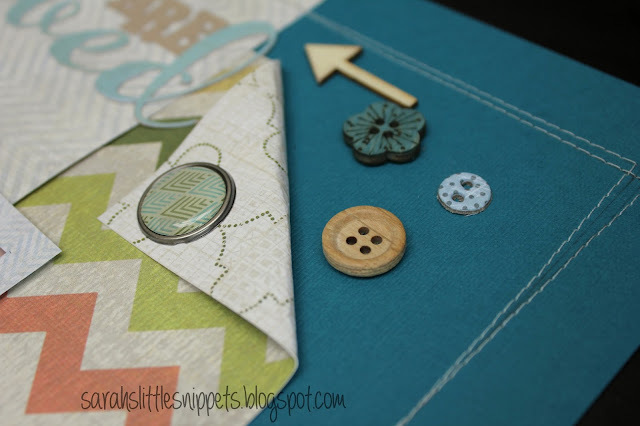 'Blues and/or Browns' mini challenge! 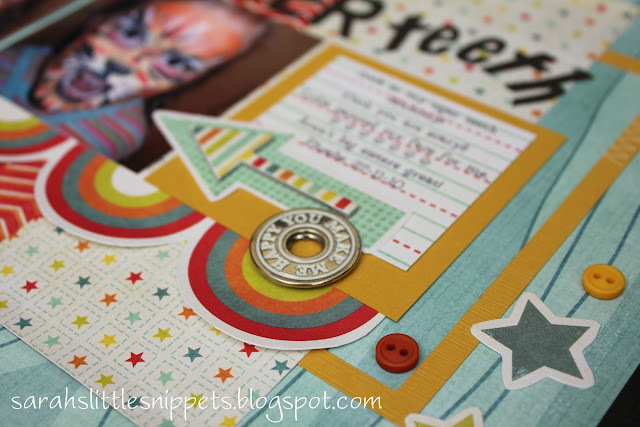 I'm just popping in to let you know about the new theme for our mini challenge at Creative Craft World this month. Creative Craft World blog HERE. Lou very kindly sent me April's mini kit to have a play with. You can find it HERE but you don't have to use it to enter the challenge. and it's stamped with Elzybell's white ink. mainly because we have been getting work done to the house and I'm stressed out with it! 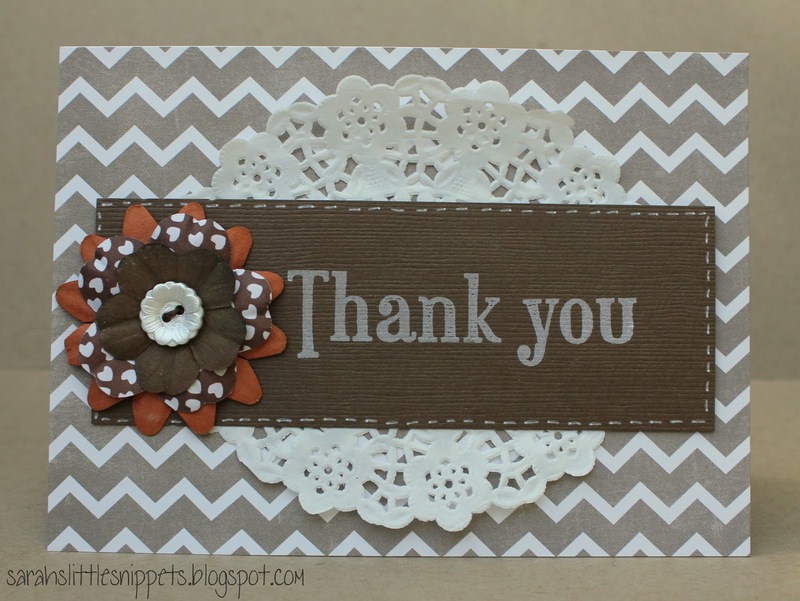 Thanks for visting and enjoy the rest of your weekend! 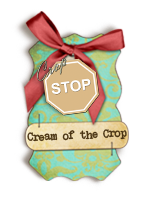 It's been a while since I posted but I'm back to let you know about the new scrap map challenge at Creative Craft World. 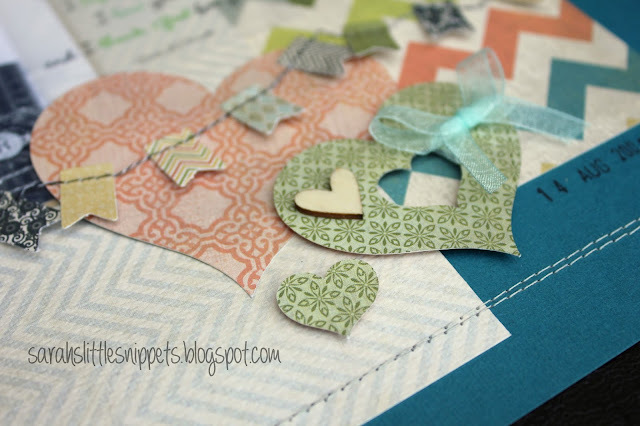 We are having another blog hop this month and you'll find all the details on the CCW blog. I didn't follow the sketch entirely this month as I only had one photo to use instead of three but I quite like how it turned out. The papers are Echo Park 'Yours Truly' and the flowers are Green Tara. I added a mix of fabric, suede and pearl brads to the flower centres and I made the gem flourish using a stitching template as a guide for placing the gems. The photo is of Phoebe looking very pleased with herself at 11 months. 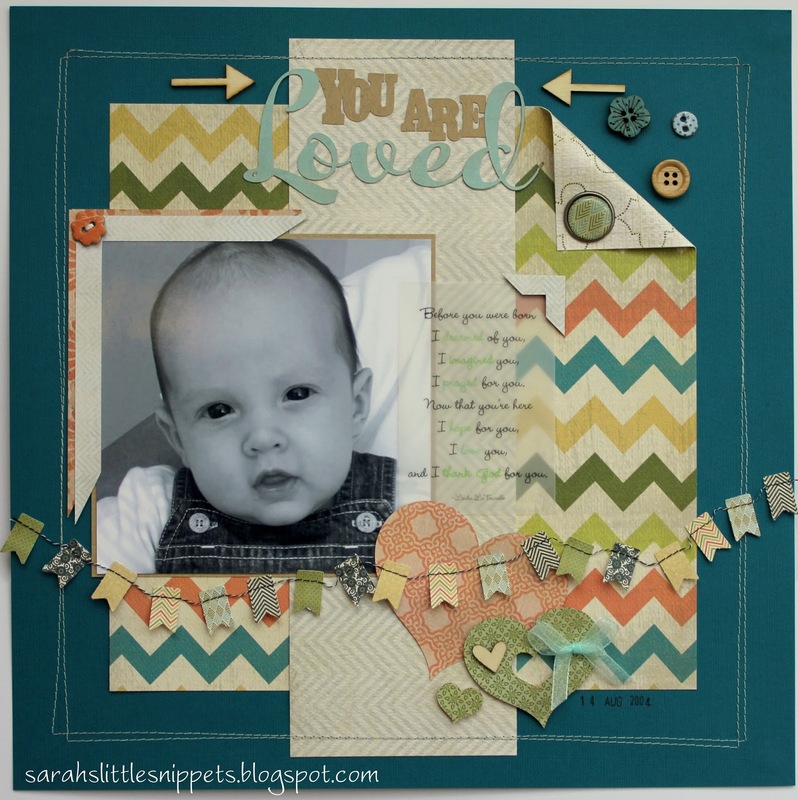 and now all you need to do is hop on over to Sarah W's blog to see her lovely layout. 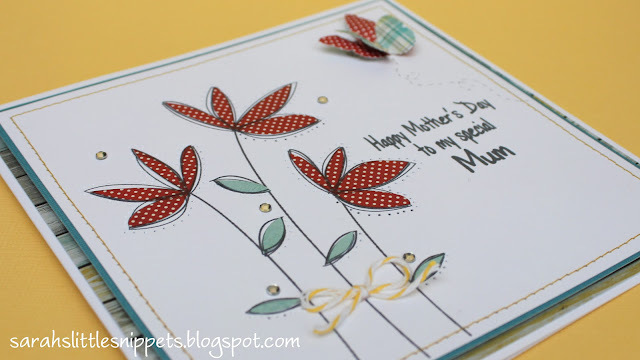 Just a quick card this morning and it's one I made for my Mum for today. 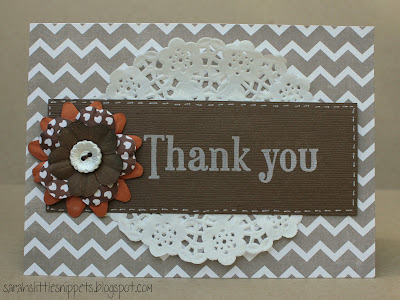 Thank you for visiting today, I still have to upload my scrapbook pages but just haven't had time. 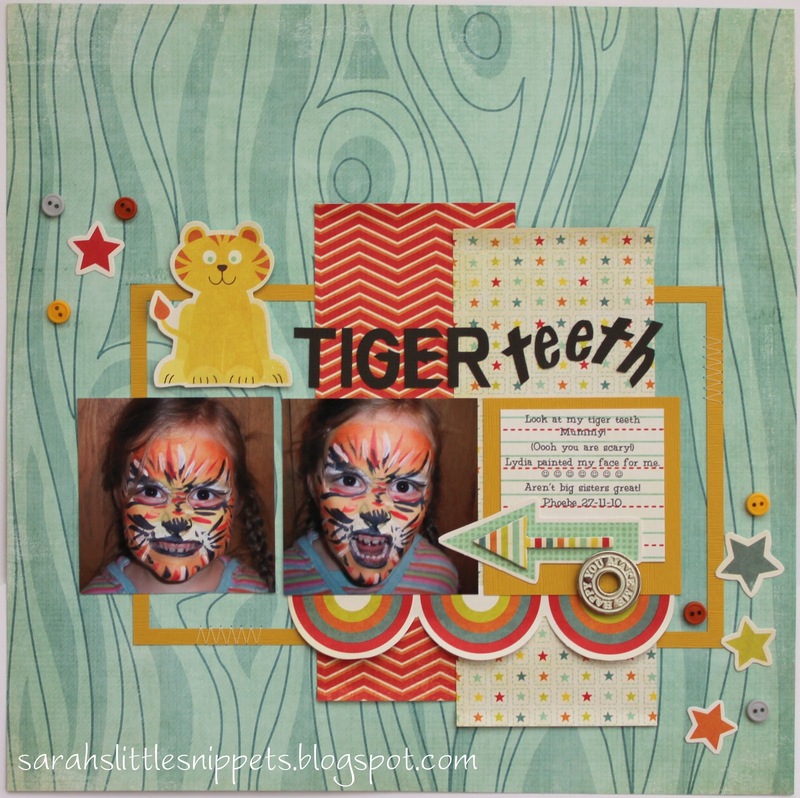 March scrap map - tiger teeth! Can you believe it's the beginning of March already? 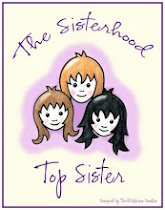 a brand new sketch for you to have a go at making a scrap page or card. 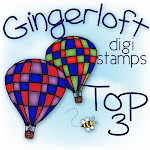 We're also having another blog hop so if you'd like to join in, just visit each of the DT and leave a comment to say you've visited and you'll be entered into a draw for a prize. 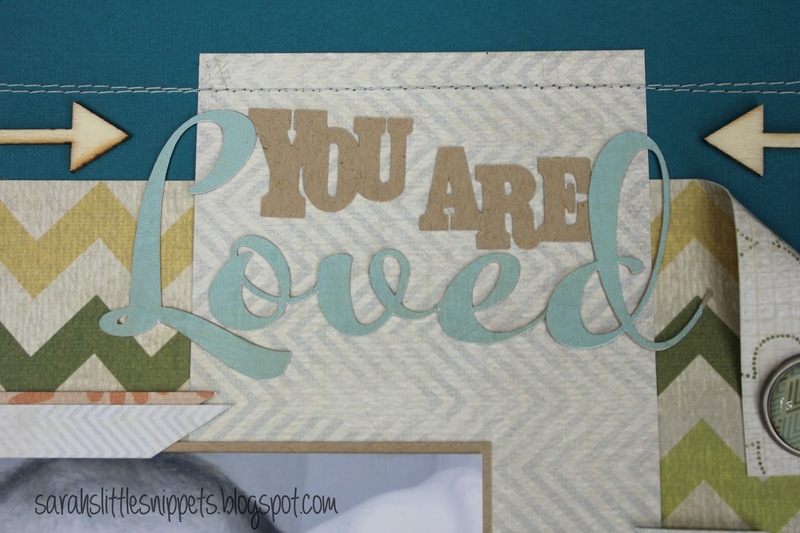 you have the chance to win a fab scrap kit and a guest design spot. I used MME 'Alphabet Soup Boy' papers and I was delighted that the colours of Phoebe's jumper matched them - stripes and all! Phoebe was always asking to have her face painted and on this particular day Lydia took great delight in painting her as a tiger. I think she did a great job! The metal gromlet is from WRMK and the tiny buttons are Fancy Pants. As I had my sewing machine out for another project (and any excuse to sew ;)) I stitched a short zig zag line on 2 sides of the frame. 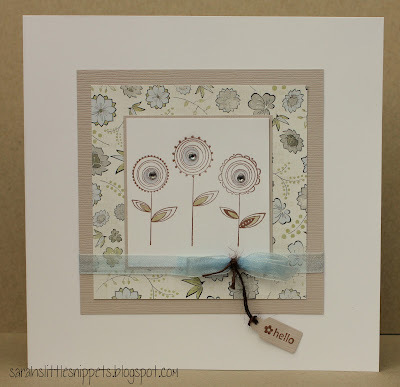 and to continue on with the blog hop you'll find Sarah W's page HERE. The first one is the mini challenge at Creative Craft World. The theme is 'ANYTHING GOES' and it can be any project so long as it is smaller than 12"x12"
There is a fabulous prize to be won and the winner is chosen by the Design Team. The second challenge is also at Creative Craft World and it's the Beat the Christmas Rush one. 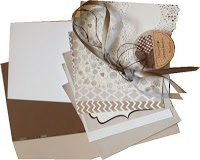 If you'd like to get ahead with your Christmas cards this year then this challenge is for you! I also have a card to share today. 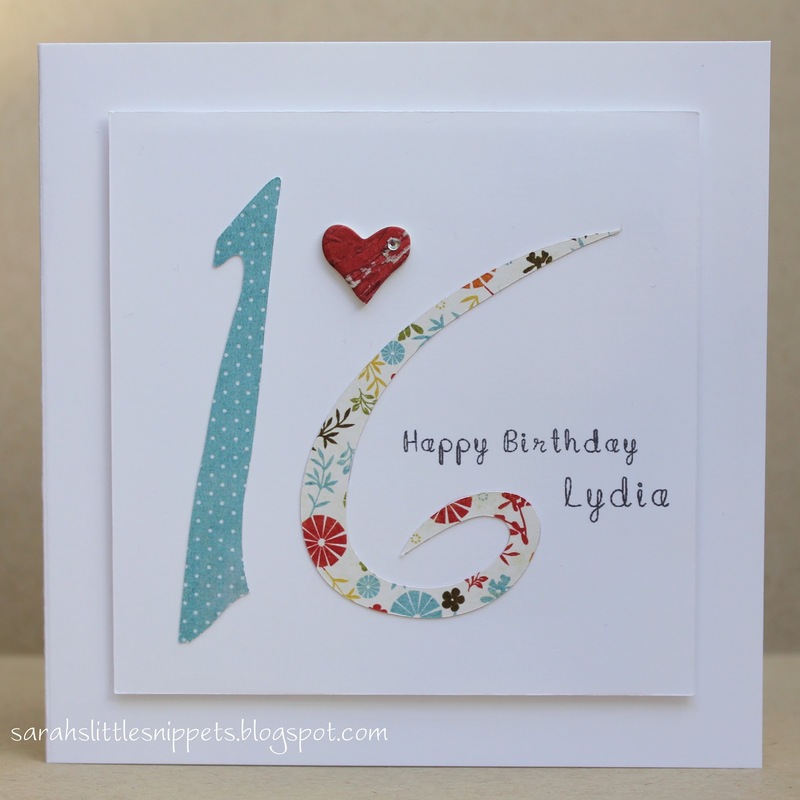 It was my lovely daughter's 16th birthday last week and this is the card I made her. 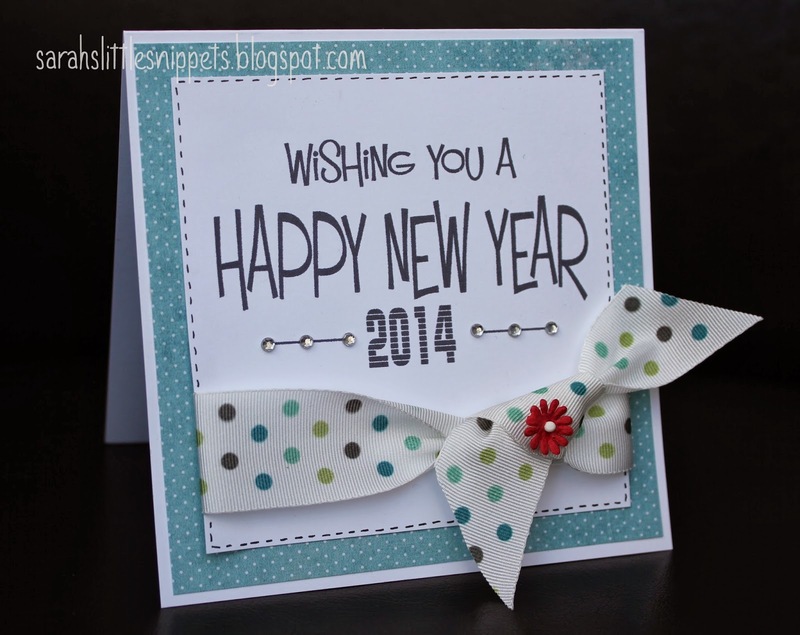 The papers are MME 'On the bright side' 6x6 pad and the 16 is cut out with the Silhouette Cameo. 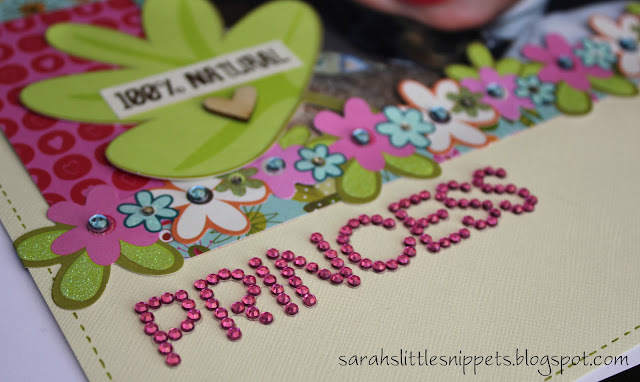 I covered some chipboard with matching paper and cut out a heart with a Sizzix die. The font is MTF cupcake. Although I've been quiet on the blogging front all that will change over the weekend! 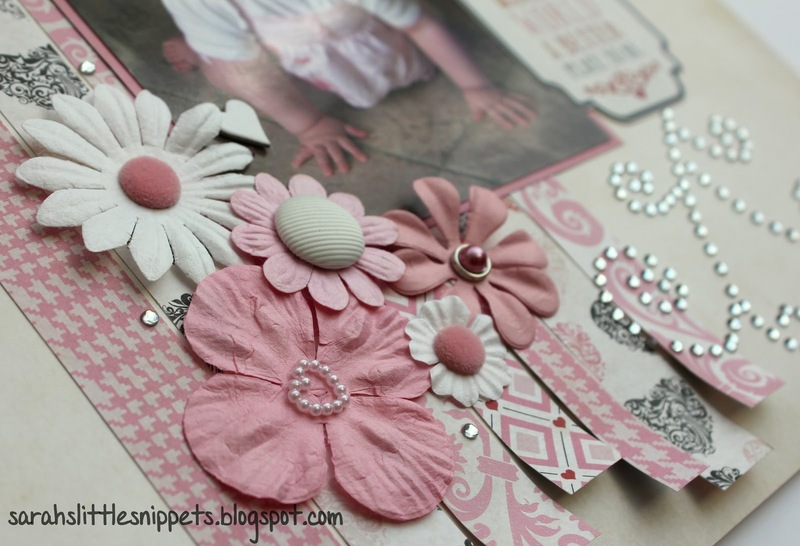 and I have 3 new scrapbook pages to share. I'll upload them over the next few days and as Saturday sees the new scrap map challenge I'll also have a page to share for that too. Thank you all for your support lately, I've had some lovely emails and comments and I appreciate them all. Blog hop this month at CCW! 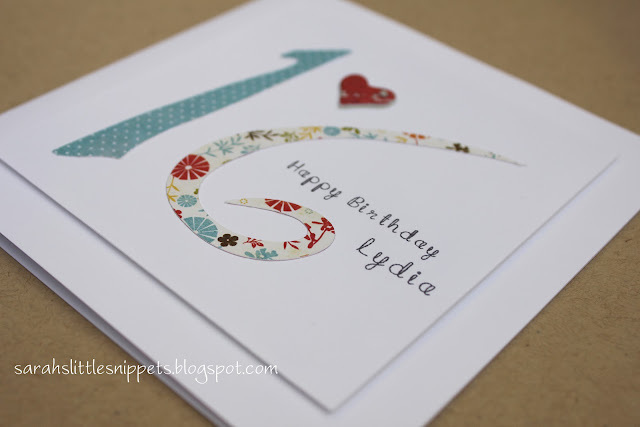 and today we are having a blog hop too! There will be a prize for one reader who visits each of our blogs this month and leaves a comment, just to let us know you've visited. 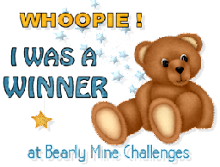 And as usual there is the fabulous prize of a CCW kit, GDT spot and a generous shop discount for the winner of this month's scrap map challenge. 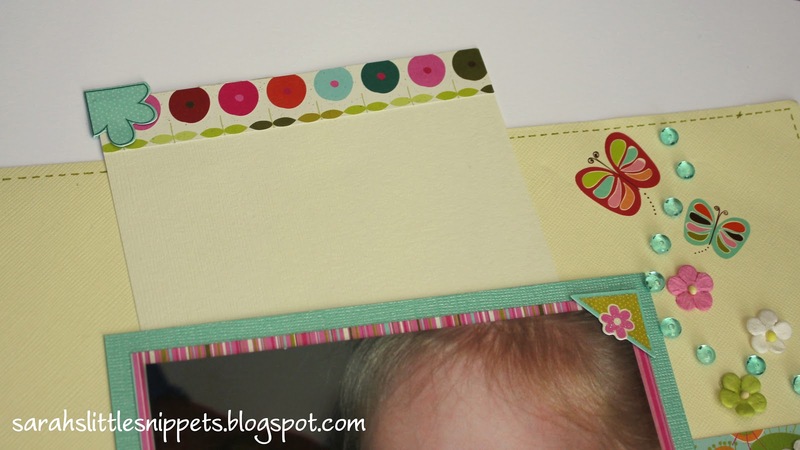 You can enter with a scrapbook page or a card!! 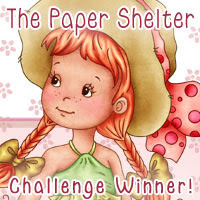 So have a look at the sketch and find all the details on how to enter HERE. 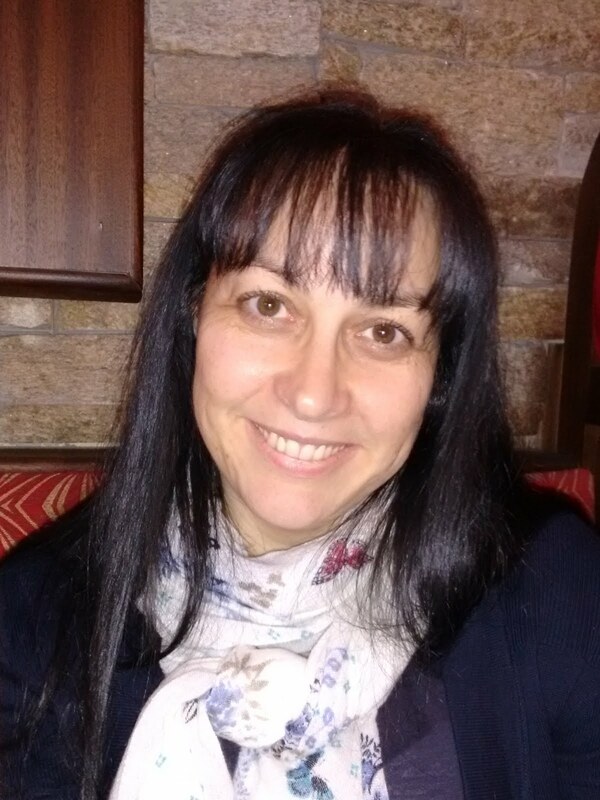 For those taking part in the hop, you will have made it here from Mel's blog. For my page this month I've used a photo of my eldest daughter Lydia, taken when she was almost 3. As she will be 16 in a few weeks time we have been reminiscing about her baby days and pulled out the old photo albums. 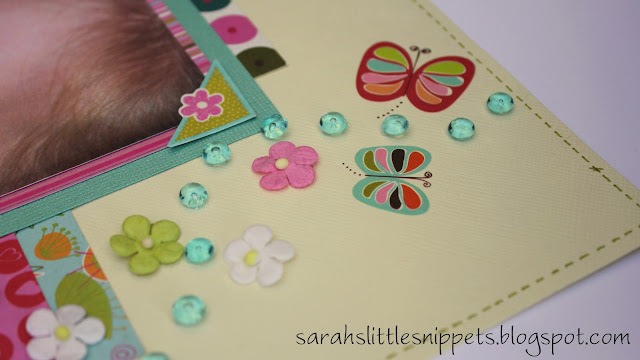 I added matching butterfly rub-ons to the top of the page and turquoise dew drops down the right hand side of the page. 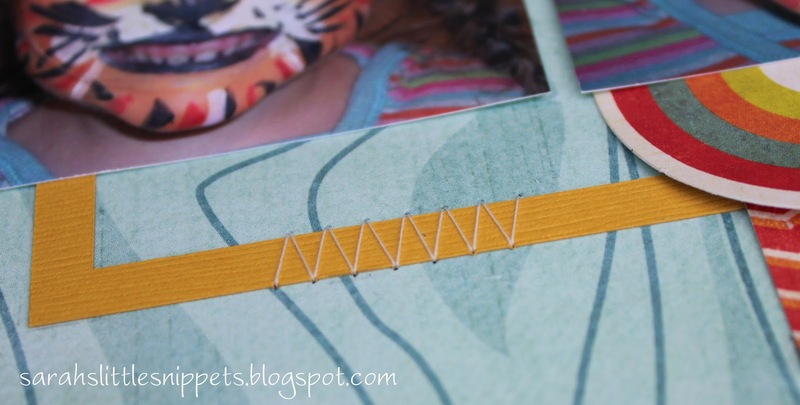 I love to add hidden journaling to my pages so I made this tag to slip behind the photo. I haven't added the journaling yet as I want to keep it personal just for Lydia. Now you've seen my page it's time to hop on over to Sarah W's blog. Here's the complete list just in case you get lost! Thank you for visiting today and I look forward to seeing what you do with the scrap map! 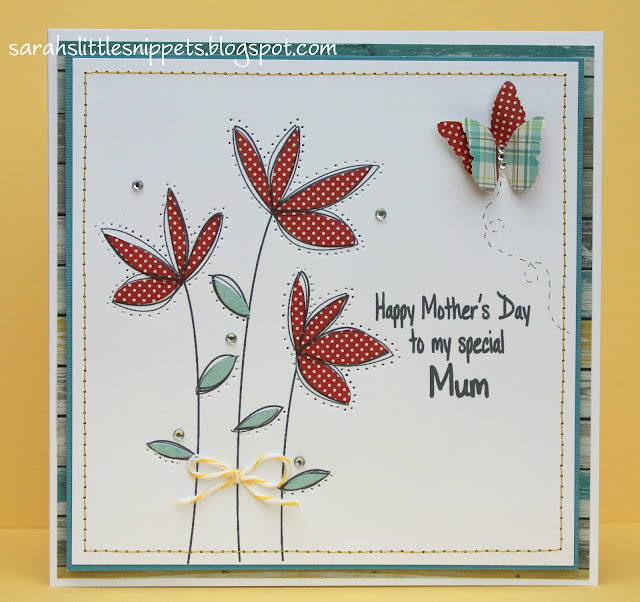 Don't forget.... from now on you can enter with a card or scrapbook page. 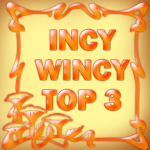 Feel free to leave a comment when you visit and then I can visit you too! Please do not copy any of my designs for publication or sale. Thank you! My lovely readers ~ Thank you for following! If you'd like to know more about anything you see on this blog, just email me at sarahmcards@hotmail.com.